Having been in the window business for over 35 years, everyone at A&L has watched the industry evolve over time. We’ve had to evolve at the same rate to stay successful. Today though, our focus is more on leading and changing the game, rather than just keeping pace. How? Largely through the efforts of our Research, Development and Engineering team (RD&E). With a variety of specialists in design and mechanical engineering, the RD&E team is responsible for continual product improvements. 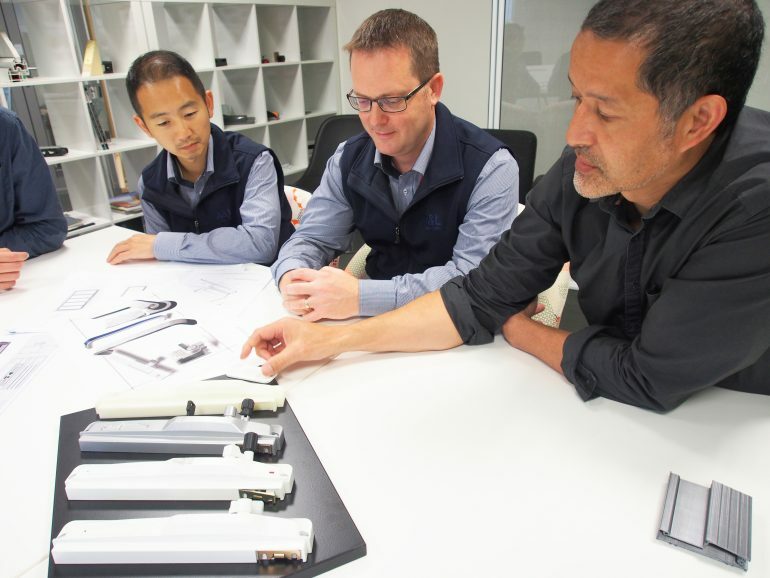 The team also ensures our products are tested for durability, to meet and exceed Australian standards in performance. Constantly focused on the future, the RD&E team also explore new technologies and innovations to support exciting product developments. We sat down to talk all things innovation with RD&E Design Manager, Sion Netzler. Product refinement typically consists of a two-tier approach. Sometimes it’s about serving an immediate need—identifying and improving something in a short time frame. Other times, we focus on opportunities for general enhancement and modifications; designing a new solution from the ground up, for example. Regardless of the approach, we always work in close consultation with our audiences: from architects and suppliers to builders and home owners. As we develop products, we build and test prototypes for immediate feedback. We have an on-site facility for testing and analysis. We can perform water pressure testing, air filtration analysis, acoustic testing, and more. Products are tested early-on for durability, as that’s key for our customers. In the same facility, we also conduct ‘cycle testing’: how much usage can a specific piece of hardware sustain in certain scenarios? We learn a lot by making and breaking, and we pass the knowledge on to our customers through robust, reliable and well-designed products. For example, awning winders will be tested to 20,000 cycles. A sash catch will be tested up to 50,000 cycles. In a lot of cases, we actually exceed the requirements for Australian standards. The process involves consistent dialogue with our audiences. We always capture feedback and ideas. There’s a lot of organic interaction with our customers, A&L wide. We refer to it as ‘voice of the customer’ (VOC) research. VOC research helps prioritise the key needs of our audiences. Sometimes they’re looking for different things in the one product: installation considerations versus design aesthetics, for example. Our challenge is to learn and balance priorities, and create versatile solutions. 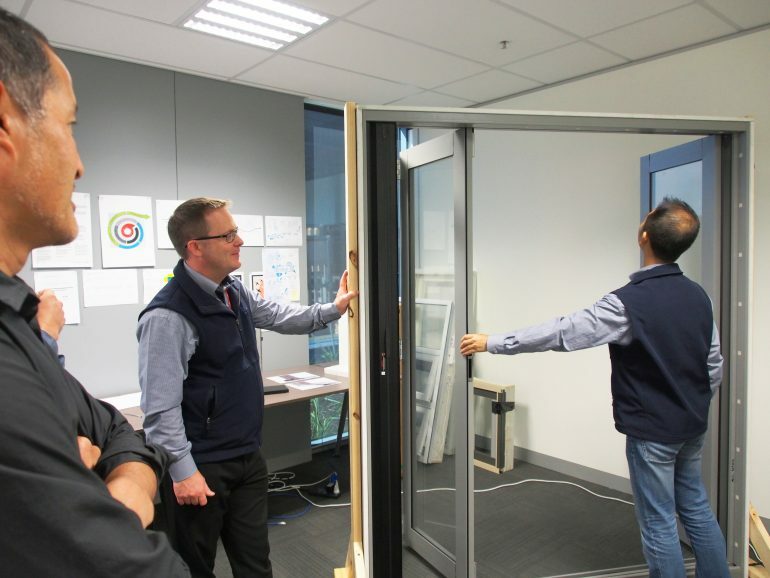 The RD&E team has to capture the performance requirements of a window and door system, but the installation criteria for different building or wall types, and different environments, too. 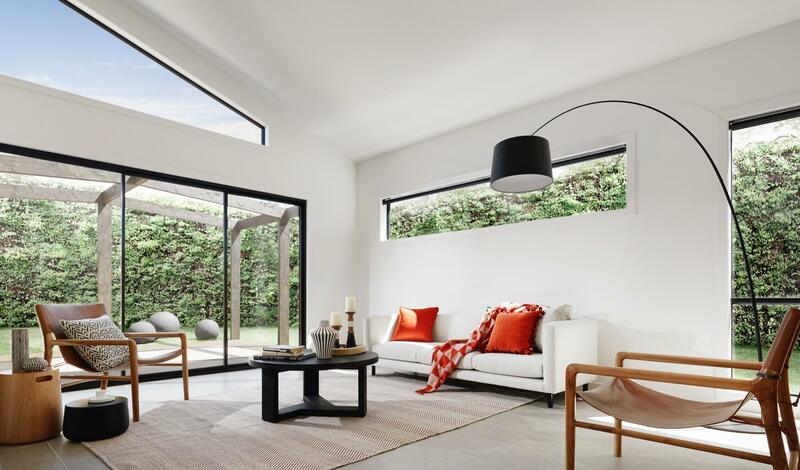 An installation will differ from Victoria to Queensland for example, because the building materials are suited to the different weather conditions. It’s challenging and rewarding. There’s a lot of capacity for innovation within the industry. Specifically, in relation to ergonomics – the way a product looks and feels. For example, there are challenges involved with door systems getting heavier. If you look at the way people interact with our products and the physicality of how they’re used, there’s incredible opportunity for improvement. A heavier door system can be challenging for an elderly person, for example. We’re looking at materials and hardware to eliminate that challenge. Automation is an exciting area for the future, too. 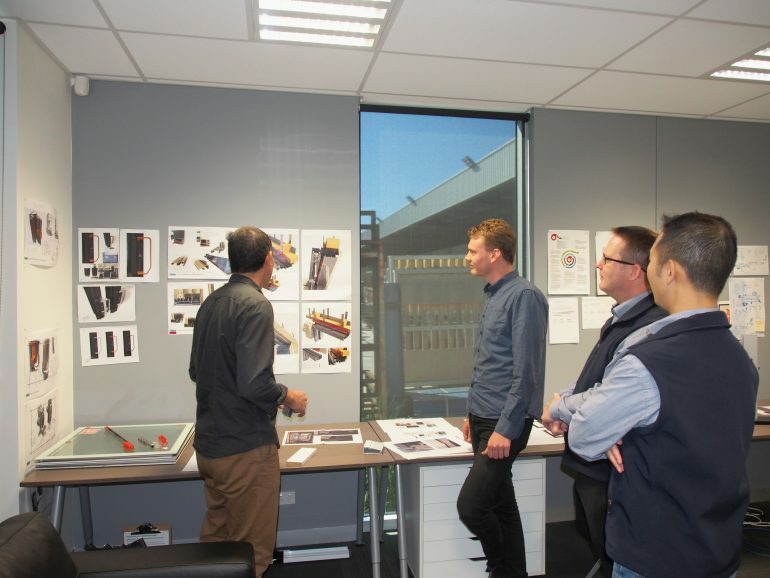 In terms of sourcing innovation for the future, the team visits exhibitions. We attend a variety of trade shows. There’s a lot of discussion with suppliers and conversations around quality. We make sure we’re doing the right things in terms of materials. We look at anything and everything. Sometimes it pays to look beyond our immediate sector; I keep looking at contemporary lighting and furniture. It’s pretty cutting edge – the surface finishing, the materials. We take that inspiration and inject it into our own product ideation. Innovation is about finding the balance between solutions to meet the immediate needs of the customer, and at the same time, things that are a little more ‘remarkable’. At one end, the process is about staying relevant in a constantly changing marketplace. But at the other, there’s an energy and excitement for something that completely reinvigorates a user’s experience. As an example, we have a next generation Boutique sliding door with some interesting hardware components. We received feedback that the flush pull on the outside of some doors is not deep enough; there’s not enough purchase, so it can be difficult to open from the outside. Armed with the feedback, we deepened the flush pool and developed a flip-out handle people can grab hold onto. The beauty of the flip-handle is flexibility; you can still attach a fly screen to the outside of the door. That’s typical of an ideal outcome. We’ll blend ergonomic solutions—look, feel and performance—with the reality of how people use our products in day-to-day life, and pivot our solutions based on feedback and testing in application.